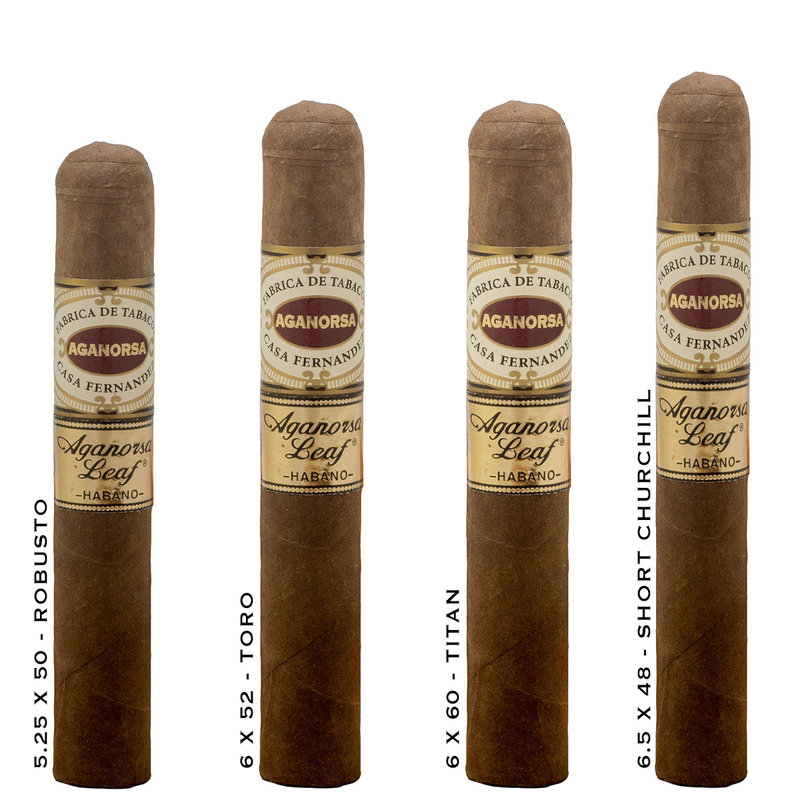 Aganorsa Leaf Habano Cigars - Buy Premium Cigars Online From 2 Guys Cigars . In 2018 Two Guys Smoke Shop announced the Aganorsa Leaf Connecticut as cigar of the year. The company follows up the success of that cigar with an Aganorsa puro featuring an Habano wrapper. In addition to the Nicragua binder, the cigar is rounded out with Nicraguan grown fillers consisting of Criollo '98 and Criollo '99. The result is another epic cigar from Aganorsa that delivers notes of spice and sweeting that brings the company to the next level.